Page of the Typhoon Lagoon web comic. 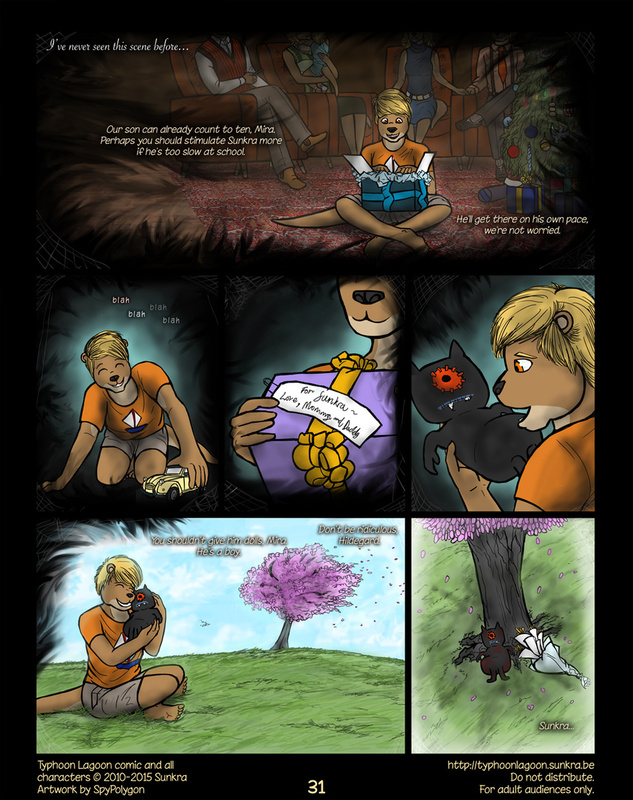 This comic is intended for adults and contains various adult themes, thus some pages may not be visible depending on your settings. Want to see the next page already? New pages are posted at http://typhoonlagoon.sunkra.be one week before they're posted here, check it out! Family comparing each other's children should be illegal.